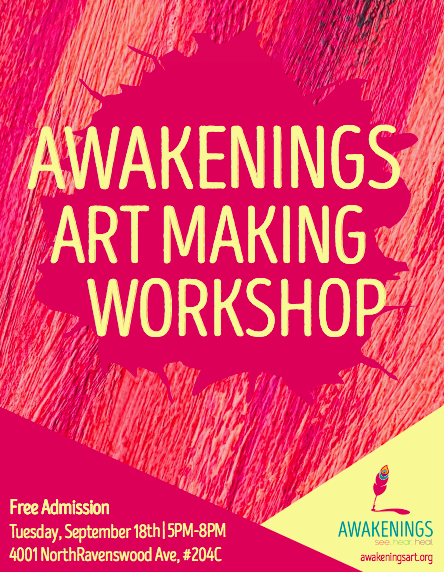 This art making workshop is a space for self-guided art making among individuals affected by sexual violence. Open to survivors, their loved ones, trauma workers/volunteers, allies, and everyone in between. We welcome self-exploration, healing, solidarity, community building, and self-care through art making, while empowering participants to be in control of their own creative process. No prior artistic experience required! Basic art materials will be provided, but you can bring your own materials or projects in progress. Participants can feel free to come and go as they please. Light refreshments will be served.